WayPay has the fastest B2B payment processing timelines in the market. 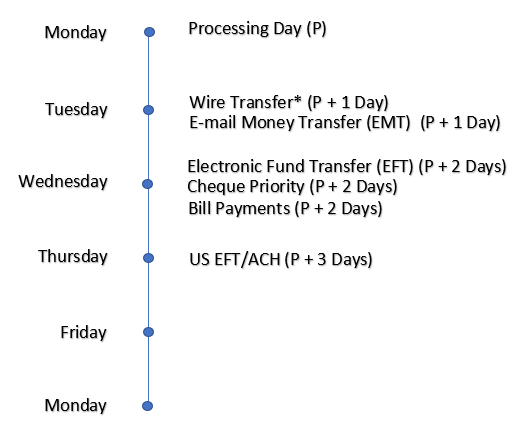 The following article will help you understand payment timelines. 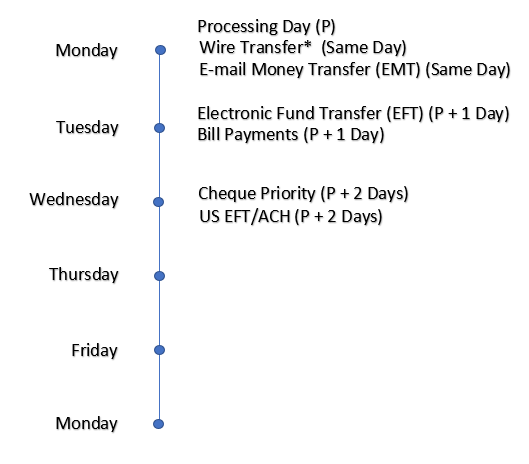 The following will highlight the payment processing time for different payment methods when you pay suppliers via WayPay. 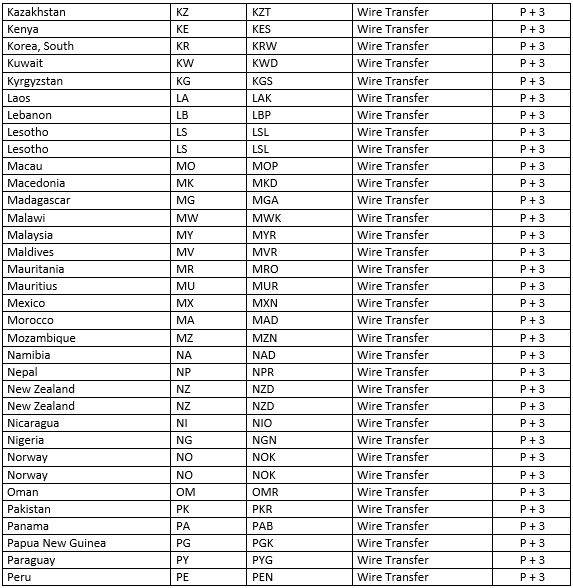 Depending on the funding source you are using and the payment method your suppliers will be accepting, the payment processing time will vary. 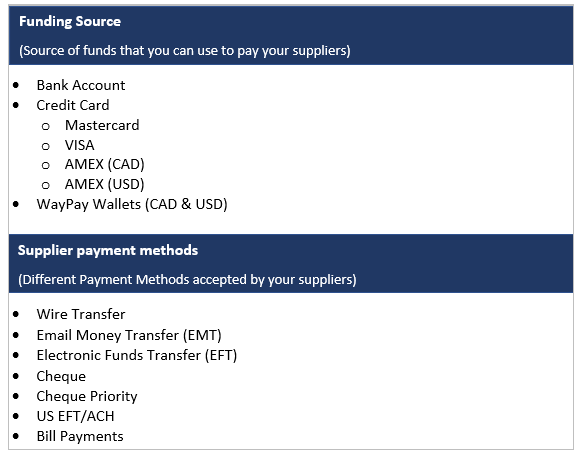 Represented below are the different funding sources you can use to pay your suppliers and payment methods that are accepted by your suppliers. 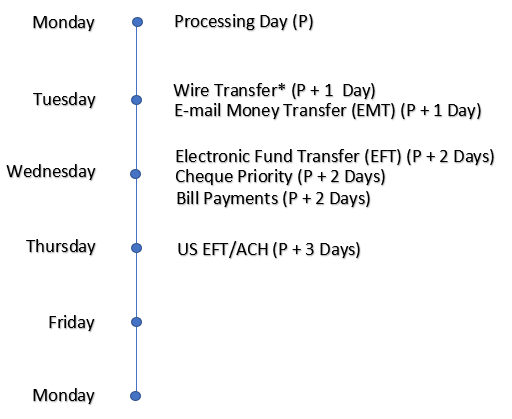 In the following sections, the average processing timeline for every funding source-payment method combination has been explained in detail. 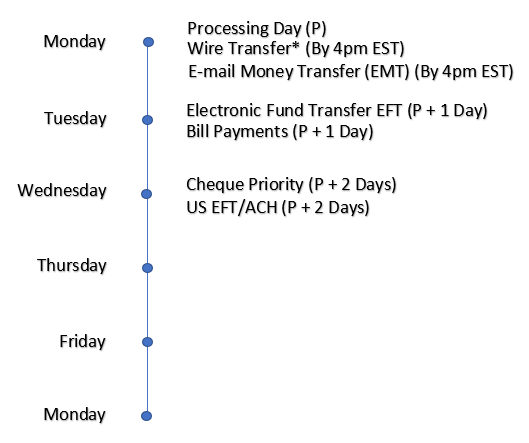 Note - Please keep the following in mind while referring to the processing timelines. 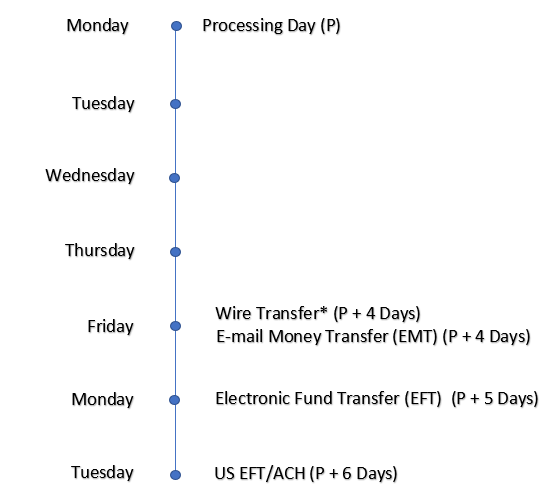 P = Processing Day: the day in which a transaction is submitted and approved for processing by the buying organization. (P + ‘x’ days) = This represents the total number of business days including the processing day for a payee (supplier) to receive their payment. 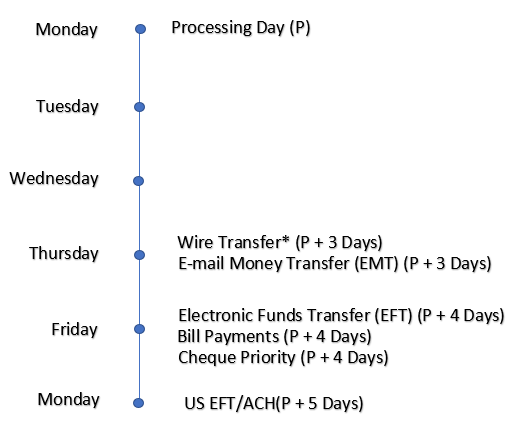 For example, if a payment is submitted on Monday and the supplier receives their payment on Wednesday this would be defined as P + 2 (Monday (P) + 2 days is Wednesday). Time taken for suppliers to receive cheque will be dependent on the postal carrier. 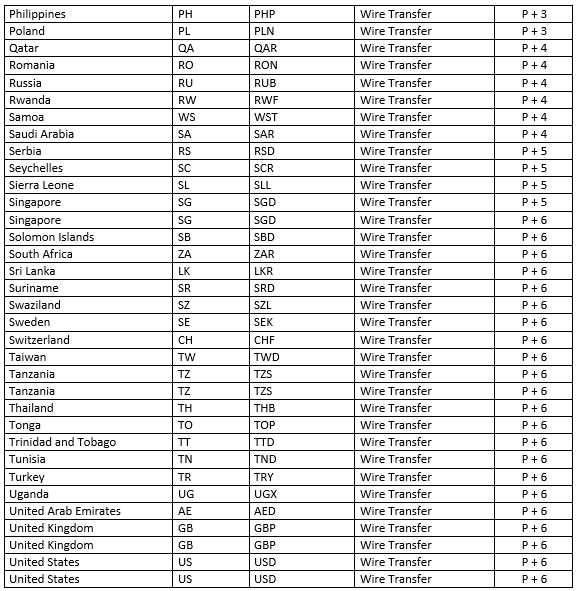 *Note - When making a payment to a newly added supplier, payment times may take up to an additional 48 hours to process. 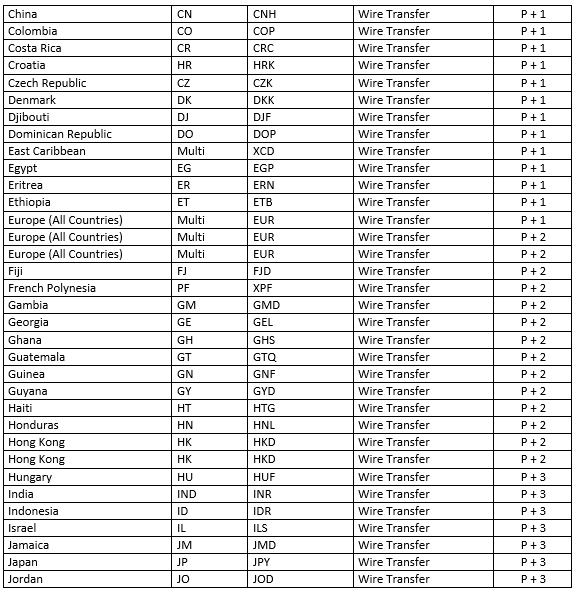 In order to ensure accurate and complete supplier payments, variables including location, currency and destination may be reviewed. With a WayPay Wallet (Virtual Account) you can take advantage of our fastest payment processing times. 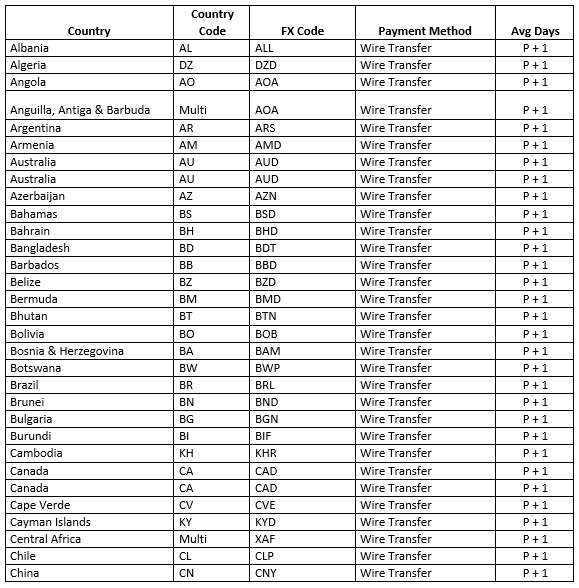 In many cases payments will be received by suppliers on the same day. 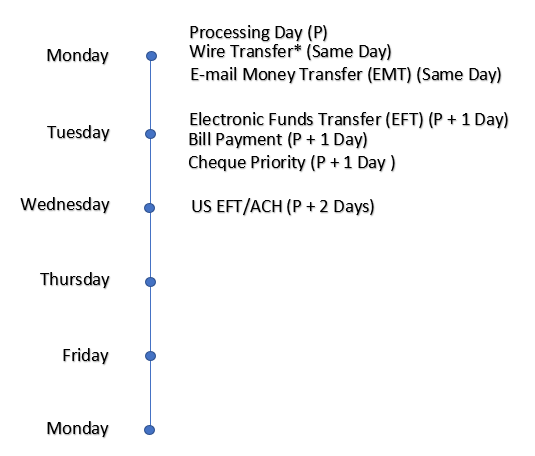 Note: In some instances, it can take up to one business day for funds moved to your WayPay Wallet to reflect in the account. 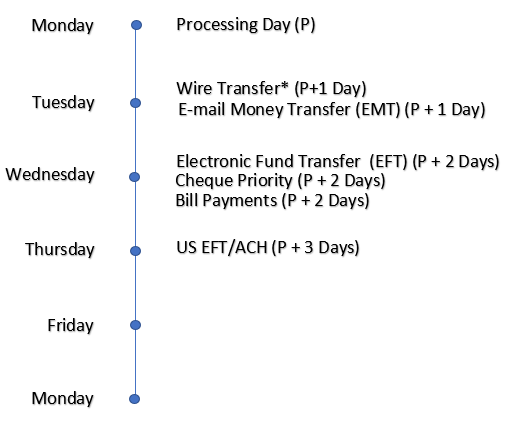 The processing time for international payments can take between 1 - 7 days to reach your supplier, depending on the receiving financial institution, the payment method and the destination country.